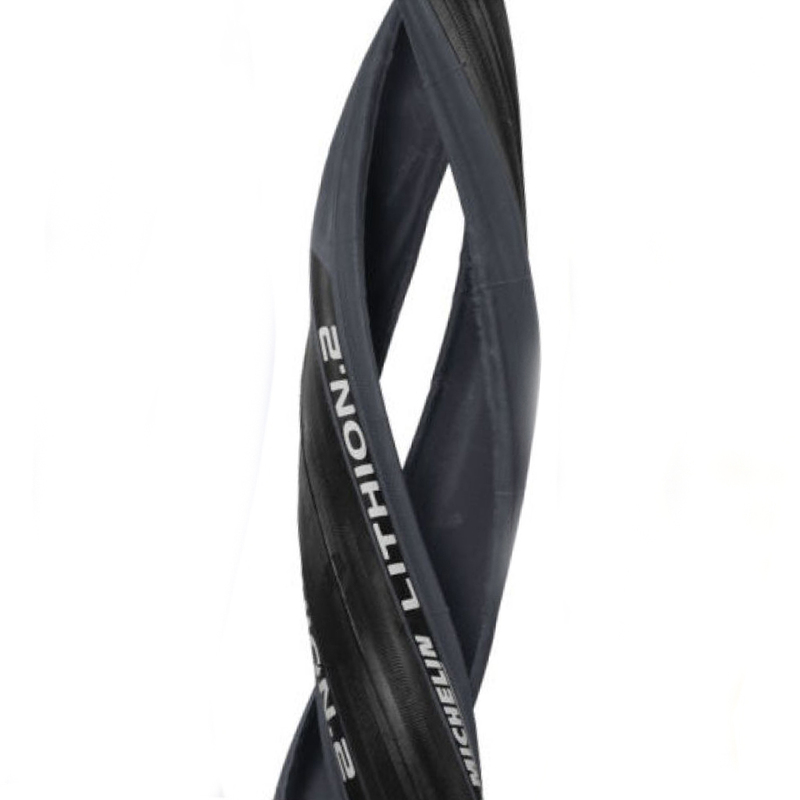 The Michelin Lithion 2 Bike Tyre is constructed with rubber and features a folding bead. This road bike tyre delivers reliable performance thanks to its rubber construction and provides optimal rolling resistance and grip. I'm using the product currently. It's been a week and I use it daily, no problem at all. Superb performance in the dry. I have yet to test these tyres in wet conditions. Great tyre for the price. Excellent tire for the money. Very low rolling resistance and longevity. Don't tend to have issues on rough roads. I can usually get 1500 mi per set. Shipping was fast. These Michelin Lithion tires are an excellent compromise between price and performance. Fast enough and durable. Of course Merlin has the fastest shipping and awesome prices, Thanks Merlin Cycles!! Bought these as spares, after my initial set of Lithion's got damaged after I apparently rode through a glass field. So far, good tires for training, but we'll see how well they hold up as I put 7,000 miles on my bike in 2016. Great value tyre, up sizing from a 23mm. Such a huge difference. Rolls really well. Yet to see puncture resistance but feels quite tough. At this price hard to beat, seem to roll very nicely. Delivered promptly as usual. First time using these tyres, after trying many other brands. Very impressed by the ride quality, as others have mentioned. Despite pumping up to 100psi, they feel like you've only put half that in. Will buy again. Second pair, first pair last about 2000 miles before getting frequent punctures. Great tough tyre for the British roads., and promptly delivered. This tyres are brilliant rolling in the wet or dry and very good grip in any any surface condition, very happy upgrade from stock tyres. Wanted some 25c tyres for my ride to work / winter bike road bike. Have previously used Conti Ultra sports for this but fancied a change. Very impressed with the build quality. They feel far more supple than the conservative TPI rating suggests. These measure 27.6 mm on my H-Plus son TB14 23mm wide rims so they are a wide tyre on the right rim. I am impressed with the way they roll and all in all are a far better tyre than the pricing would suggest .May buy some 23c for my single speed bike now. Look good and feel great on the road so far. I only have about 60 miles on them...all good so far. I bought these to replace the 23mm kenda tyres that came with my bike, which were frankly awful. I bought 25mm and I'm so glad I did: these are so much more comfortable, they feel faster and they certainly inspire more confidence in the corners. They also look good! Took some effort getting them on, but they look and work great. Wow! They look great, feel great and work. I feel very confident with these tyres on. Excellent value for money! Rolling well on all kind of surfaces. Quite hard to keep heaps of mileage yet soft enough to get you through a hard (cobbled) race. Strongly recommended. Good tyres for the price, they roll very well and grip is good in all conditions. Not exactly puncture resistant but at this price they are easy to replace. Also they look great which is a bonus.